What is Derailing Fight Against Somalia's Al-Shabaab? Somalia's central state of Galmudug wants the Federal government and the public to come up with an immediate strategy to wipe out militant group Alshabaab from the region before the 2022 elections, Radio Dalsan reports. "Before the one person one vote election and as we prepare for it Alshabaab should be eliminated from the country. Somalia should unite to clear them from the few areas they control. We should partner in rehabilitating those who need rehabilitation, tell to leave those who can leave the group and remove the rest that's what we pray for a lot" said Sheikh Shakir. 2022 has been scheduled to be Somalia's first one man one vote elections since the collapse of the Siad Barre government in 1991. 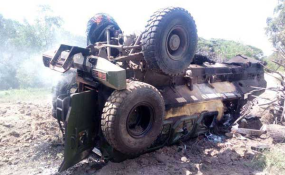 Alshabaab still controls several remote villages in Galmudug region and pose a serious threat to the region's security as they attack camps of the government security forces and those of the Galmudug administration.